Autodesk Authorized Training Centers (ATCs) provide the best way for beginners and experts alike to get up to speed. Find out about the latest productivity features, learn best practices, and develop the skills you need to make the most of your Autodesk software. Get the greatest return on your investment, faster, by building your knowledge in the areas you need the most. At an ATC, you’ll learn from highly qualified instructors at superior facilities. ATCs base their classes on Autodesk recommended course descriptions and have the added advantage of Autodesk Official Training Courseware materials. Quality distinguishes Autodesk ATCs from any other training provider. ATC managers and instructors are given a great deal of support from Autodesk to ensure that your training experience exceeds expectations. Facilities are held to the highest standard so you enjoy a comfortable classroom setting with a workstation dedicated solely to you. ATCs build their classes around courseware from Autodesk that is designed specifically to fit your learning needs. Essentials training is the most popular. These classes enable new users to learn the key capabilities of Autodesk software. Transition classes allow experienced users to apply their skills to new software versions and/or cross over to different Autodesk products. Master classes focus on the advanced skills and topics required to improve your productivity and effectiveness. Solution classes apply a process-based approach. These classes build on your industry knowledge and present strategies for tackling real-life projects. Often, these classes employ case studies and real-world exercises that reflect your daily activities. Certification Exam Prep classes to help you get ready for Autodesk Product Certification Exams. 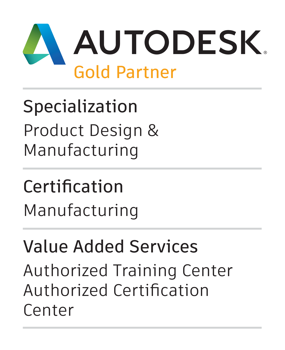 For more information on Autodesk Certification, visit www.autodesk.com/certification.